It says she provided coaching for one of the European funds on three occasions. The Security Service of Ukraine (SBU) has opened a criminal case against an employee of the National Anticorruption Bureau of Ukraine (NABU) who, it believes, illegally earned money while working for a different organization, the SBU has said on its website. It learned that the former Russian national was granted Ukrainian citizenship in 2002. In 2013-14, she worked at Ukraine's embassy in Moscow at senior posts. During her work at the NABU, while she had a monthly salary of about 40,000 hryvnyas (1,600 dollars) and access to confidential information, she provided coaching services at the events held by one of the European funds on three occasions. "Thus the official has violated the requirements of Article 25 of the Law of Ukraine 'On prevention of corruption' and Article 13 Part 2 of the Law of Ukraine 'On the National Anticorruption Bureau of Ukraine," the statement reads. 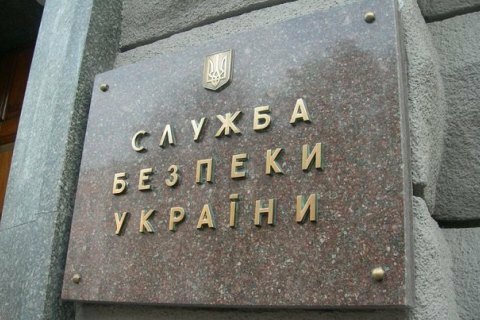 Acting on approval of the Prosecutor-General's Office, the SBU filed a report for the deputy head of the NABU department under Article 1724 Part 1 of the Administrative Code (violation of restrictions on combining jobs). The report was sent to Kyiv's Solomyanskyy district court. NABU Director Artem Sytnyk accused the SBU of putting pressure on the bureau. "It is impossible to comment on the situation without laughing. She was paid for coaching the money which she had declared. This is not an offence at all, including an administrative one," he said at a briefing. He said that this official's job does not involve law enforcing and since she is the deputy head of the department for support of the NABU director's work, arranging international meetings of the bureau's administration is on her job description. In July, a case was opened against NABU chief Sytnyk on the request of MP Ihor Lutsenko. Sytnyk said that the NBU was anticipating a wave of black publicity this autumn.